Nardwuar The Human Serviette News: Jan 17: Nardwuar's Video Vault at UBC ! 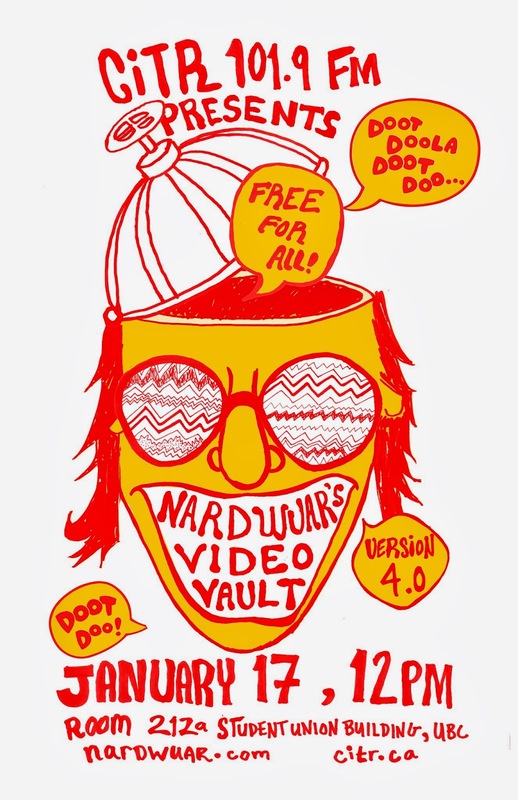 Jan 17: Nardwuar's Video Vault at UBC ! Hullo VanCity! On Friday January 17th I am going to be doing a FREE presentation talking about my favourite interviews, playing clips from my Video Vault and talking about my adventures at CiTR Radio! Yes, it's all happening on Jan 19th at 12noon in room 212a of The Student Union Building at UBC! Facebook Event Page is HERE! Doot doo!